For everything there is a time. A time to weep, mourn, heal, reflect. And a time to party! Join Vintage Church on February 12 as we kick off a three-week series called Festival: A Time To Party. In this series, we will look at how God's people have so much more to celebrate than even the city of New Orleans at Mardi Gras. Prior to kicking off our Festival series, walk through this introduction to the three Old Testament festivals and how they point to Jesus. Throw a party for Jesus! He has provided His protection. Pastor Rob Wilton breaks down the Feast of Booths in Leviticus 23 in week one of Festival. Throw a party for Jesus! He has provided His deliverance. Pastor Rob Wilton breaks down the Feast of Passover in Exodus 12 in week two of Festival. 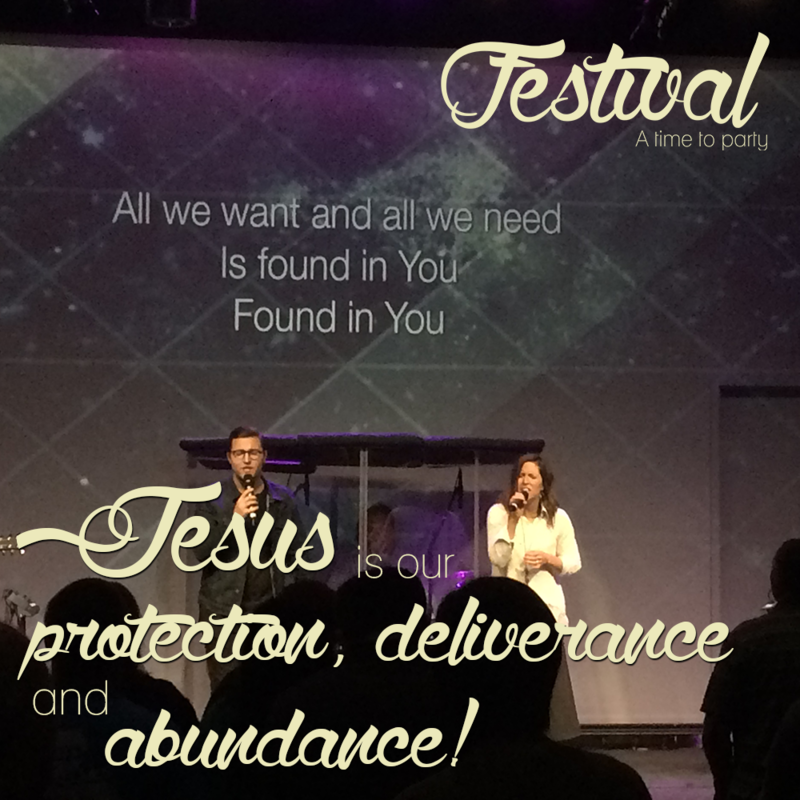 Check out these brief sermon snapshots from our Festival series. Like what you see? Make sure to check out the full sermon videos above. If you want to experience an ultimate party, give to others. The feast of booths was a time of generous giving to the Lord and to others. Watch this short video as Pastor Rob Wilton encourages us to join the party. We all need reminders that life is not from you, life is not for you, and life is not because of you. Watch this short video as Pastor Rob Wilton reminds us that God has instituted parties to protect us from ourselves. A major reason for the popularity of Mardi Gras in New Orleans is because this city is such a tough place to live. People are looking to be delivered from their challenges. Although Mardi Gras can be fun, it is not the ultimate deliverance. Watch this short video as Pastor Rob Wilton proclaims that this world needs a supernatural deliverance. You can receive the supernatural, reconciling, and eternal deliverance from Jesus right now! Watch this short video of Pastor Rob Wilton reading a summary of the Gospel by our friend Luke Johnson and give your life to Jesus! The Feast of Pentecost is a celebration of the Law of God. God's law isn't a kill joy rather it is the key to joy. Watch this short video from Pastor Rob Wilton as he encourages us to experience the greatest life through obedience to God. We all sin abundantly and are in need of an abundant Savior. Jesus came to conquer sin and offer all through Him an abundant life. Watch this short video as Pastor Rob Wilton celebrates the provision of Jesus. Help us promote our Festival series by downloading and sharing the images below.